In a partnership, people trust each other, give fair judgment, seek to maximize cooperation and strive to work out differences. The same principles should apply to Europe's dealings with China. Trust means not seeing China as others do. The so-called political influence and interference of China in Europe is completely misguided. 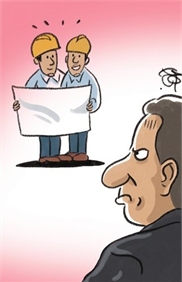 Fair judgment means evaluating China in accordance with European interests. Maximizing cooperation and working out differences means finding new growth opportunities for the relationship and solving disputes in a constructive way. Europe should do what a partner should do when facing pressure related to China. If tensions continue, I believe the Chinese studying and working in the US will face more difficulties. Macron's visits to African nations since then, including non-French-speaking countries like Nigeria, Ethiopia and Kenya, prove that the European country is willing to reach beyond its traditional backyard in Africa. It is unfortunate the French president resorted to Western countries' paternalistic habit of telling their so-called African partners what to do. 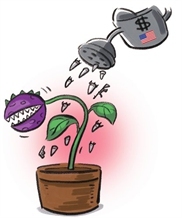 China needs to deepen its reform and opening-up and further welcome foreign investment. However, the country should protect its own development path and never give up its right to legitimate development.